Stop pulling your hair out over losing hair. Relax and be positive! Everything will be okay. Hair loss is very common and natural phenomenon, and three quarters of men can expect significant hair loss by the time they are in their fifties due to genetics, poor lifestyle choices and even illness. Yet, the idea of being bald can instill a soul-shaking feeling of fear and dread in even the most confident of men. It’s hard to deny that our physical appearance matters in society, and balding has traditionally been associated with weakness, impotence and other undesirable male characteristics. But while it’s normal to worry about hair loss to some extent, many men simply let that worry turn into obsessive behavior or a phobia. The let worrying consume their life. The key is to be concerned, but not worried or fearful. A man concerned about his hair loss sees the problem, accepts his condition and takes actionable steps to address it, whereas the worried man lets the problem consume his life with fear, anxiety, depression and paranoia. When the concerned man realizes that he’s lost too much hair, and his head is showing more skin than hair, he shaves it all off and never looks back. Which one are you? The concerned balding man or the worried balding man? Which one do you want to be? And what’s wrong with being bald anyways? 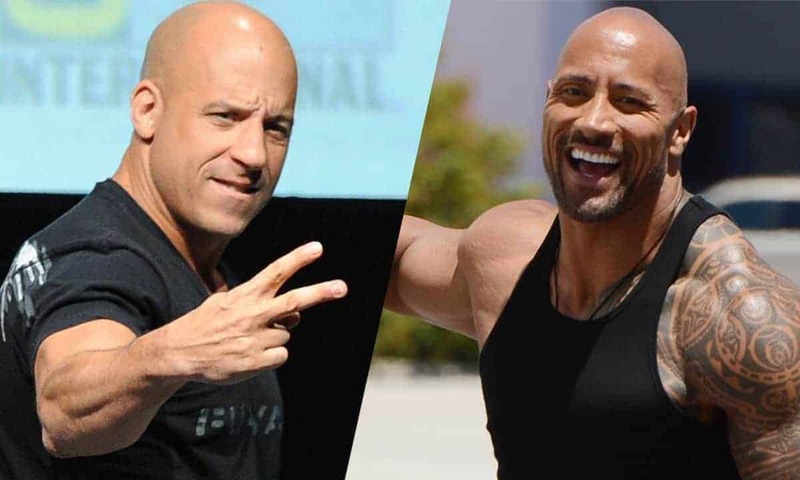 Ask the Dwayne ‘The Rock’ Johnson, Vin Diesel, Jason Statham how they feel about being bald, and they will probably tell you that they wouldn’t want their head any other way. Their shaved heads have become a hallmark of their fame, so much so that it’s difficult to imagine them with hair. Believe it or not, but there are some fairly major benefits of being bald. Sure, having no hair saves you time and money that would otherwise be spent on hair cuts and personal care products, but one study published in the Social Psychological and Personality Science, an authoritative peer-reviewed academic journal, found that bald men were also perceived to be about one to four years older, a little more agreeably, more masculine, stronger, more dominant, and even taller than men with a full head of hair. Men with thinning hair fared worse than either bald men or those with a full head of hair, which goes to show that it’s better to shave your head bald than to sport a funny comb-over. The message should be clear: If you are going bald, embrace it! For the sake of your self-esteem, self-image and how people perceive you, there is no other way. Heck, I even dare to day bald is the new black. Bald men are more in style today than every before in history. If you are still having a hard time looking at the bright side of being bald, here are 20 positive bald man quotes that will help you overcome the fear of losing hair.